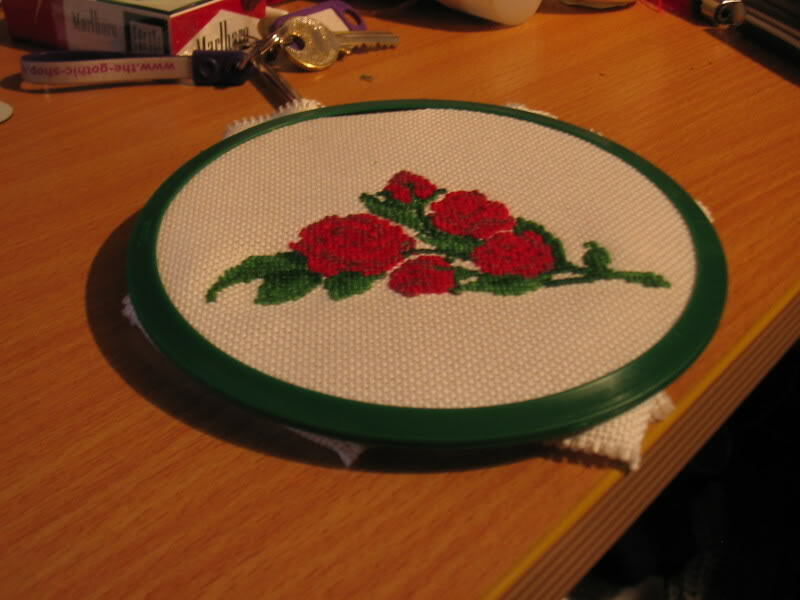 I have always been a fan of cross-stitch, but I’ve actually never known how to do it correctly. I got my start when handed a kit at age eight. 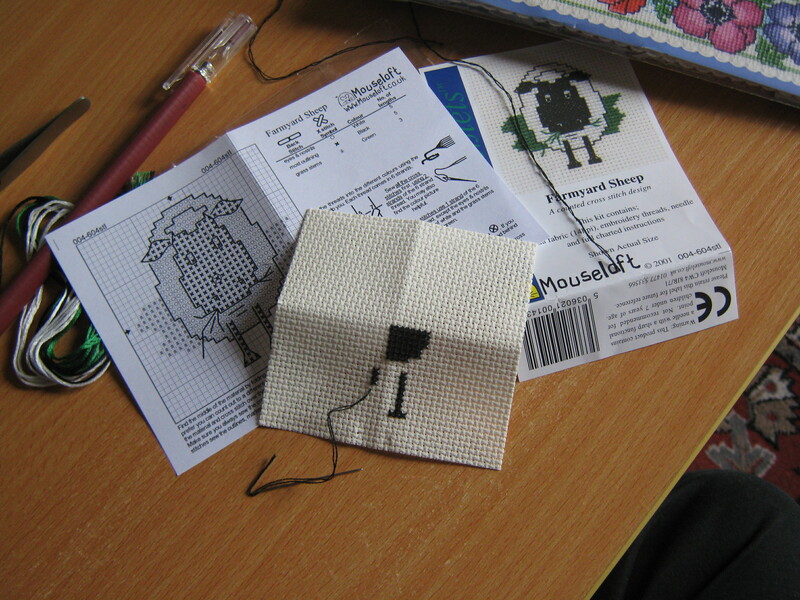 The kit had no particular instructions, and was on actual cloth rather than aida cloth. I tried to work it, but as I’d not even been introduced to rudimentary sewing, I made a total botch of it and ended up throwing it out. I tried off and on any number of times through my childhood and teens, and it never really bore any fruit. Once into my adult years, I managed to sort of brute force an understanding of how they work. I still wasn’t doing it correctly per se, but at least it looked good. For example, yes — I got you were supposed to use two strands, but I would fold them up on themselves and knot the ends, so I was in essence working with four. And then I’d wonder why I’d run out of thread! So of course, instead of wondering why all kits were short on thread, I’d just buy more and do my best to match up colours. I’ve a sewing box overflowing with embroidery thread, which has served me well for the most part. After all, doing something from a kit, and doing something from a book is about the same in essence. The only real difference is that one comes with the thread pre-loaded, and the other doesn’t. Of course, there was probably more to the instructions here and there than my brain processed, but with anxiety being my default baseline, it makes it really hard to process and retain information. 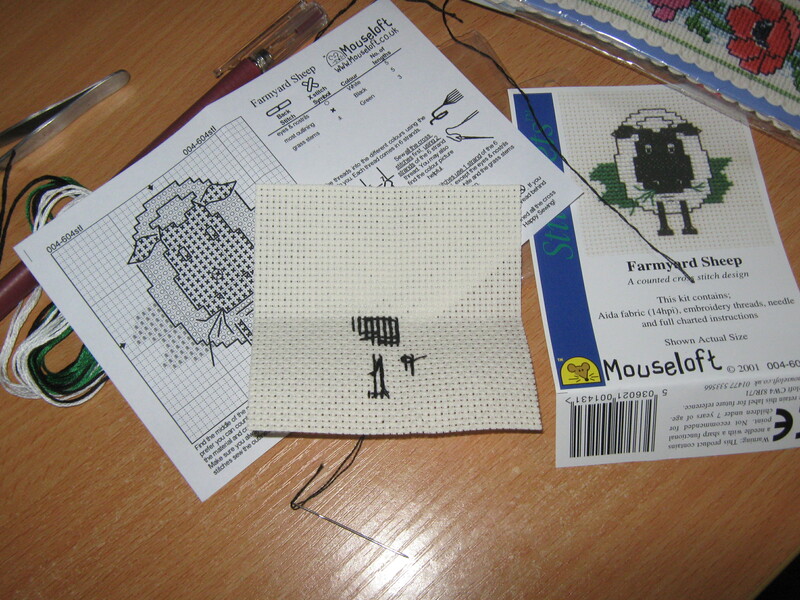 So some bits stuck over the years, like the correct way to plop down little Xs, or how to backstitch. And as said, it looked good to the front, so I just sort of accepted it. I knew it wasn’t right because the backs were eternally a wasteland, and that bit of dissonance kept me frustrated enough to not cross-stitch that often. I wanted to, but I couldn’t get my brain to calm down enough to teach myself the basics properly. Still, I’ve had the hankering lately. I want to do one of my baby’s name to match the one I made of her sister’s name; we figure those will look really sharp on their door. But yanno, that would have required getting the book down off the shelf (which, even with that right behind me, requires moving things to get it). But as we were taking a trip to Hobbycraft this weekend, I’d thought a bit about picking up a kit or two. I wasn’t really planning to, but then we spotted a ‘first kit’ meant for children. Whelp, if we’re going to get Lilbit one, I figured I should do one or two myself. I want to be able to teach her rather than throwing her into the deep end, and that (of course) requires me refreshing myself on the basics, and actually learning a few bits that I’d neglected over the years. I think I would have taken to it faster with better guidance available, and the chance to share with my children at their own behest encourages me to keep my skills sharp. The two pictures of my current tiny project show one of my most recently learned bit of sewing — how to do it ‘single’ strand. Having never been taught properly how to do it, I would always have a double strand and a knot at the end. As one might surmise, it doesn’t make for the tidiest stitching. I was also always incredibly paranoid about things unweaving itself unless I put a million knots in. I’m slowly getting better at putting that particular fret aside, which should (hopefully!) see things like kit cross-stitches not running short on thread. I keep dropping the needle off of the loose end of the thread, but that’s okay. I’ll get the hang of it with practice. And, I think, I will be practicing a lot more in near future now that I’m starting to develop a better foundation of skill and confidence. It is rather interesting how varied one’s minds approach can be towards a thing. I was chatting to a dear friend from school on how, to me, knitting and crafting is a great brain-quieting therapy. It’s sort of zen and good for clearing the mind. For her, she’s been doing it so long that it’s an automatic process, freeing her mind up to think about other things. So when she’s not feeling well/dealing with depression, she knits less because otherwise, her mind would run amok. I tried XS for a little while, my journey being similar to yours altho I am not willing to put up w/ the frustration. I’m the same w/ knit and crochet but I really want to be able to do it. I am always looking for kids craft kits to help me learn! Nothing wrong with using the kid’s kits to learn, I reckon. Because yeah, frustration… anxiety… that’s why it took me nine years for knitting to start to click, hee hee. We picked up a kit for Smallhausen (the preferred nickname of my four-year-old, apparently :D), so I expect I’ll hopefully find some useful pointers. re: I’ll hopefully find some useful pointers.